This course is for learners broadly interested in financial markets, managers working in corporations or institutions and individuals planning to pursue a graduate degree in business (MBA). This course is the third of four in the Corporate Financial Analysis XSeries. 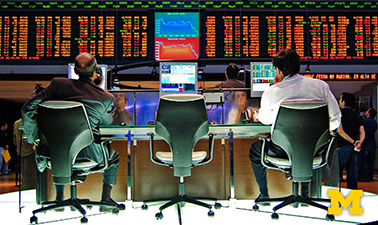 Learn about the structure and design of global financial markets and institutions such as banks and credit rating agencies. I came at this with a knowledge of the fundamentals of finance and didn't expect to learn all that much, but I was pleasantly surprised. This really is a great course with an instructor who takes you through financial instruments and practices in a methodical and comprehensible way. Anyone hoping to gain an insight into the mysterious world of financial markets and practices can expect to come away from this with a solid understanding.